As a Care Bears brand ambassador, in honor of Friday, September 9th being #ShareYourCare Day, A Geek Daddy is encouraging our blog readers and social media followers to do a nice deed for someone else just to be kind. Simple things like treating a friend to lunch or helping an elderly neighbor with some chores may not seem like much to you but could have a big impact on the beneficiary of your kindness. With Share Your Care Day as an inspiration, try and do something nice for others throughout the month of September then share your good deeds with the Care Bears on social media using the hashtag #CareALotChallenge to encourage others to follow your example. 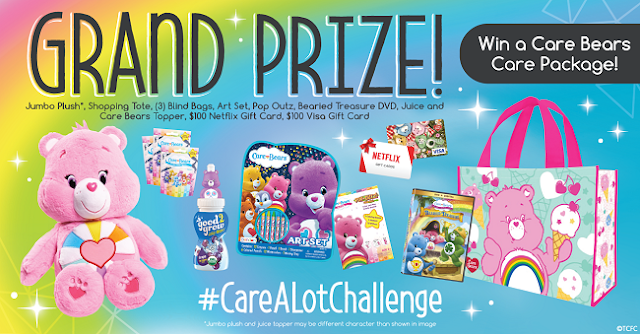 The Care Bears want their fans everywhere to do something nice for someone all month long via #CareALotChallenge, It could be simple acts such as sharing a toy with a sibling or taking out the trash for dad. Bigger inspirations could also involve acts of philanthropy like planting a tree, serving lunch at a homeless shelter or running a 5K for a charity. Care Bears hope to embolden the nation to be kind, think of others and #ShareYourCare every day. 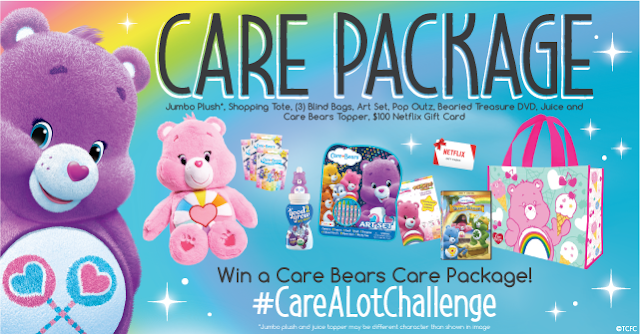 The Care Bears brand is all about pos­i­tiv­ity, car­ing and shar­ing. Every day throughout September, one shar­ing or car­ing chal­lenge will be posted by Care Bears on their Facebook and Twitter pages with the #Care­ALotChal­lenge hash­tag. Chal­lenges include acts like shar­ing a high-five or a hug and much more. With the #Care­ALotChal­lenge, you can add a lit­tle extra happy to the world! It’s to show appre­ci­a­tion for the peo­ple you Care-a-Lot about! Print this calendar to track your #CareALotChallenge moments and watch online for ideas and ways to #ShareYourCare, including doing something special on Share Your Care Day! You can also get in the spirit of the day by participating in the Care Bears #CareALotChallenge Twitter Party hosted by A Geek Daddy's friends the @BlogginMamas on September 8, 2016 to help kick off Share Your Care Day. 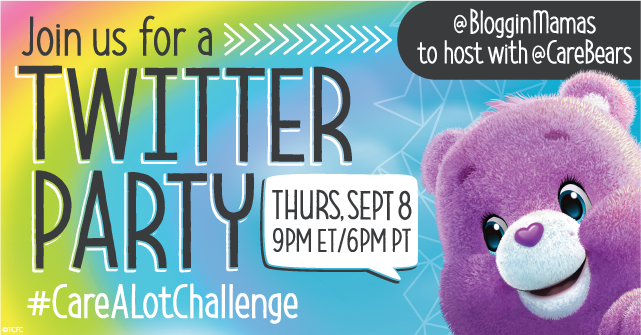 Dur­ing the Twit­ter Party there will be a chance to win one of the fol­low­ing prizes by answer­ing var­i­ous trivia ques­tions about the Care Bears. Win­ners will be selected at ran­dom from all eli­gi­ble entries. Plus there will be a GRAND PRIZE consisting of One (1) Care Bears Care Pack­age and a $100 Gift Card (ARV $275). To be eligible for the prizes you need to RSVP and participate in the party using #CareALotChallenge. So how are you going the #ShareYourCare on September 9th and throughout the month?